It’s nearing the end of 2015 and the holiday season is here! As always, our lists are compiled after months of extensive research. We talk to other parents to learn what their kids loved, we dig through internet forums and blogs, read countless reviews online and best of all… We do our Christmas shopping! The Vtech Sit-to-Stand Learning Walker is a great toy for early walkers. We inherited this toy from my niece for my son when he was just showing interest in walking and he took to it right away. The music is loud but he really loved it. He still plays with it now that he is walking, going back to use the telephone and push the buttons to dance to the songs. The toy comes as many different animals such as elephants, giraffes, lions, bears, the list goes on. 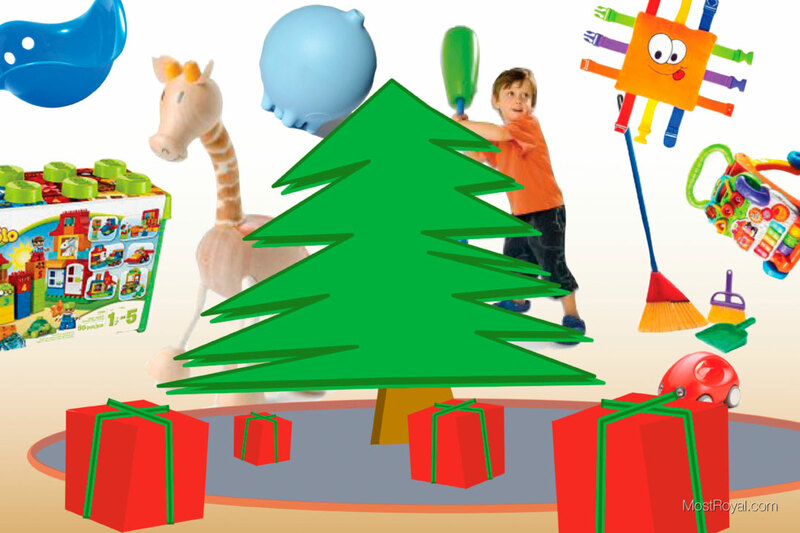 It is a cute and attractive toy that can entertain little ones from the earliest stages through pretend play. A great addition to any toy animal collection. The Big Boom Bat and Tee is an inflatable tee-ball set. Note, all parts are inflatable, making this toy great for indoor play perhaps during the winter months or hot summer days. The bat is big in diameter and the ball is about 8″ in diameter making it virtually impossible to miss the ball. The manufacturer recommends this toy for ages 3+, but we know of kids as young as 18 months understanding how to hit the ball off the tee. The Moluk Bilibo is a classic toy for toddlers. The hard plastic form allows children to find multiple ways to play from using it as a tote, a seat, a seat to spin or rock in, or something to wear as a helmet. The Bilibo is a toy that is supposed to encourage imaginative play, and it will be up to your child whether they use it imaginatively or not. If you look up reviews on this toy you will find hundreds of people who say their kids loved it, and a handful who say their kids just didn’t get it. As an adult, I don’t really get it, but our niece LOVED this thing! The video below pretty much shows why. The Kid O Go Car is a simple, slightly abstract, car great for little ones to grab hold of and push around the floor. This toy comes in many colors, is easy to grasp, and is tons of fun for any toddler. The car’s construction is solid and it can take a beating. We love the rounded shape too! You don’t have to worry about sharp angles for your kid to fall and hit his head on. If your toddler is anything like our’s random tumbles are par for the course. The moment you see your kid crawling around the floor and driving a toy car around will just melt your heart. The Lego Duplo Deluxe Brick Box is a great toy for kids starting at the age of 18 months. It is an introduction to legos with larger brick pieces and comes with people, animals, windows, etc. as well as instructions on how to build some items like airplanes and trains. For parents who want to introduce creative play with building toys, this is a great addition to any toy collection. I know I have it on my son’s holiday list! The Lego Duplo Play with Letters set is a great set to include with your existing Duplo Lego pieces. It adds blocks with letters on them to incorporate into any structure your child wants to build. This is best for children ages 2-5 and can assist your child with learning their alphabet. This Buckle Toy is a great toy for toddlers 1-4 years old. It provides kids with the ability to practice buckling an unbuckling from an early age and most toddlers will spend oodles of time playing with it. With over 200 reviews on Amazon and a rating of 4.5 stars you know this is a winner. The Buckle Toy comes in various designs from a plush square with a face, stuffed animals, a backpack, etc, and it is a great toy to keep a child busy while traveling. 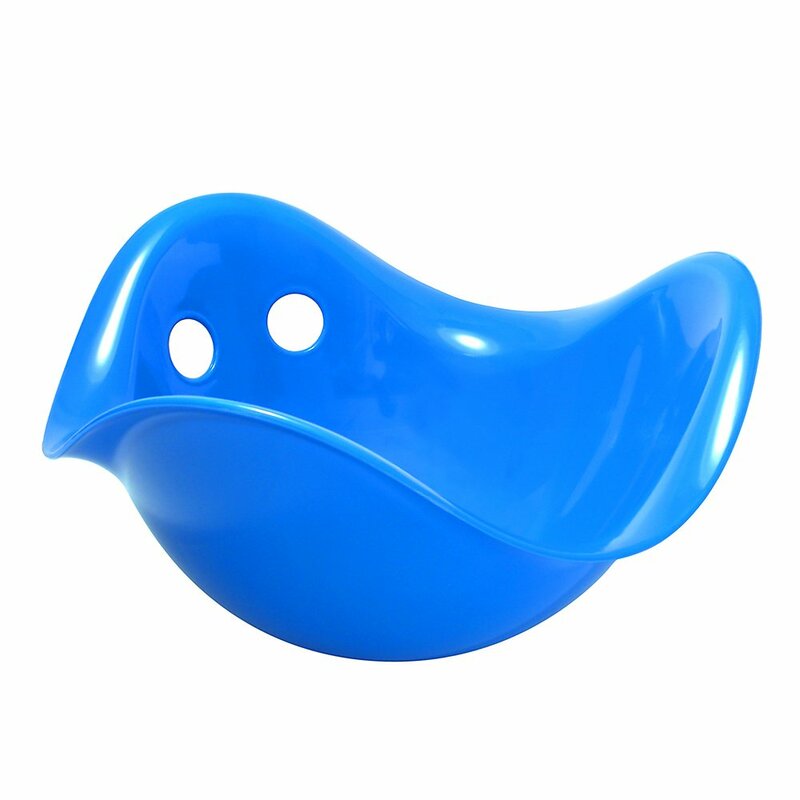 The Moluk Plui bath toy is a simple and great toy for the bathtub, or even a small backyard splash pool. Simply fill it with water and let it rain, plug the hole at the top and it stops. I know this seems dull, but kids seem to find this fascinating and the fact that it kept coming up again and again, and again… and again as we researched awesome toys that we got the message and made sure to include it in our list. The main complaint with this toy is that it can get moldy if not maintained properly. Make sure the toy fully drains, and on occasion run some bleach water through it to kill off the mold that is bound to grow in any dark and damp environment. You have to clean the tub, so it’s only fair that you need to clean a tub-toy now and again. Otherwise it is tons of fun for toddlers! Every toddler loves helping mom and dad around the house with tasks like cooking to decorating the walls with crayons. Doh! Luckily, they also love to mimic and help clean up too. After several melt downs when we would take the broom away from our son – in an attempt prevent half the house from being destroyed by an out-of-control broom handle – we bought this broom set. The Little Helper Broom Set proved to be big hit in our house. Apparently we are not alone either as this item has over 1350 reviews on Amazon with an average rating of 4.5 stars. Yes, a broom. This has become one of his favorite toys. Our son carried this broom around the entire night and for several days after he was “sweeping” just like mommy. He definitely still goes for the bigger broom, but not as much and he is perfectly happy using his own now. Months later he still loves to sweep and he has now learned other uses like riding it like a pony. Best of all it’s become a makeshift microphone that he sings into while dancing to music. So glad we got this for him!